After years of waiting, Rangers in Canada’s North are going to get their new rifles, three years after the federal government first announced the upgrades. Rangers in Canada's North are going to get their new rifles, three years after the federal government first announced the upgrades. Defence Minister Harjit Sajjan delivered the first of the rifles at the Air Force hangar in Yellowknife on Monday. 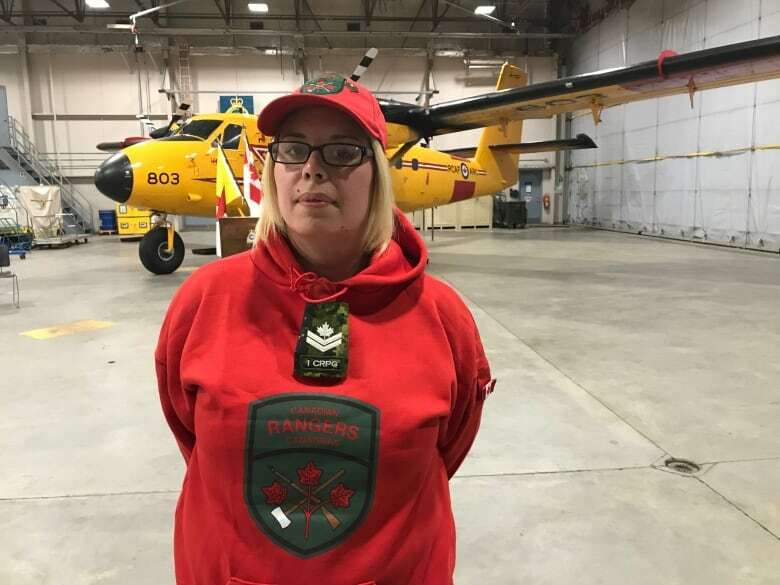 He also announced the government intends to find replacements for the Royal Canadian Air Force's 440 squadron's four Twin Otter airplanes, though he didn't provide a timeline for when that would happen. The new bolt-action rifles replace .303 Lee-Enfield rifles that had been issued to the Rangers for decades. That rifle dates back to the First World War and it's difficult to find replacement parts for it. The new rifles, known as C-19s have been tested for the harsh conditions of winter and are painted red to easily be identified by the RCMP, Sajjan said. "It was really important to make sure we had the right rifles for this," Sajjan said. "The Lee-Enfield has played a very crucial role for us and had a tremendous history, but talking to the Rangers themselves today and in previous years, I can tell you how excited they are to receive these new rifles." About 1,800 Canadian Rangers patrol Canada's North, with another 1,400 young people participating in the Junior Rangers program. Rangers will be trained on using the new rifles over the next two years as more are delivered to the North, explained Brig.-Gen Patrick Carpentier. "I'm not aware of the details of that yet, but suffice to say, there's training that's going on right now to ensure the distribution of the rifle," Carpentier said. Master Cpl. Ashleigh Stokes, an 11-year member of the Rangers from Fort Smith, N.W.T., said the rifle is significantly different from the Lee Enfield she's been using. The bolt and the trigger guard are both bigger on the new rifle, said Stokes. That will make it easier to use while wearing gloves. "We do patrols every year, having a nice rifle like we are getting really helps us do that," she said. Michael McLeod, the MP for the Northwest Territories, spoke about using the Lee-Enfield growing up and during his time as an active member of the Rangers. "Today's an exciting day," McLeod said. "A lot of us grew up using the old .303s, they were fairly cheap to buy in the days when my father and others were around. "It was a good gun, it was a gun you could depend on. But this one looks very nice," he said. In 2015, the former Conservative government announced the plan for the upgrades. In 2016, the Liberal government signed a $32.8-million contract with Colt Canada to manufacture approximately 7,000 new rifles.